With the help of some bio-degradable graffiti, a selection of inflatable props and a Vox Pop Phone Box, Kommando have just wrapped up their latest campaign aiming to increase student interest in further education and boost applications to Hertford Regional College (HRC) in Enfield. For many young people, deciding what to do when they finish their GCSEs is often the first major decision they will have to make, therefore HRC wanted to empower potential students by providing them with all the information they need to make an informed decision. Kommando created a superhero themed experiential and guerilla marketing campaign which targeted the area’s 15-18 year olds and highlighted the benefits of studying at college either as an alternative to or post sixth form. HRC has invested in top of the range learning facilities which allow their students to have a hands-on learning experience in a modern environment and were looking for a way to inform potential students of the opportunities available to them at the college. With this in mind, Kommando put together a tour of various locations in Enfield and encouraged young people to attend HRC’s open evening on April 28th where they could see the facilities for themselves. Building on the idea of empowerment, we used the hashtag #HRCsuperheroes and tagline “anything is possible (except invisibility)” for a teaser campaign in the form of environmentally friendly street art, allowing people to engage with HRC via Twitter and creating an initial buzz prior to the next phase of the campaign. 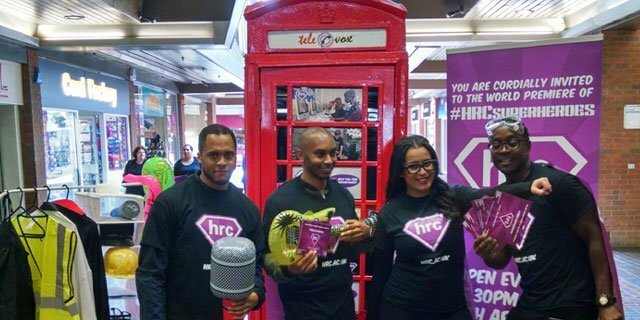 In the days leading up to the open day on April 28th, the specially branded HRC Vox Pop box was erected outside local schools, shopping centres and cinemas with current HRC students and brand ambassadors encouraging potential applicants to step inside dressed up as a superhero or in the uniform of their chosen career path. Once inside the video phone booth, participants were interviewed by a robotic voiceover about their future aspirations and “personal kryptonite”. The entertaining clips were then edited into a short film and shown at the open evening. 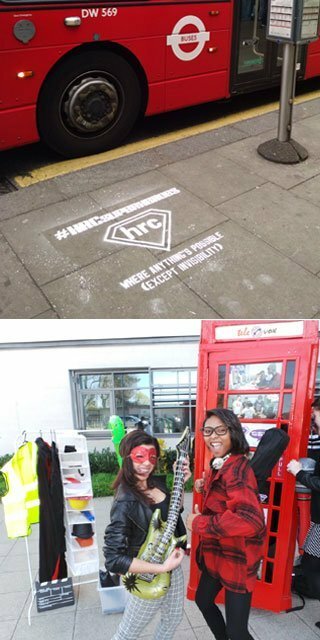 As well as being filmed inside the Phone Box, the students also had the opportunity to be photographed with their friends in costume and the photos were immediately uploaded to an online gallery in an HRC branded frame. This was done using PixAngels photo-marketing technology which allows photos to be shared across social media directly from the gallery if students like or follow HRC on Facebook or Twitter, increasing the total reach of the campaign through likes, shares, favourites and re-tweets and increasing awareness of the college in general. 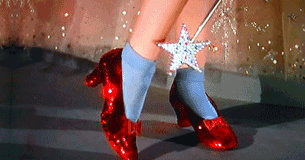 “Dorothy” is a small device which slips inside a users shoe and uses Bluetooth to connect with and control the response of an installed mobile app. 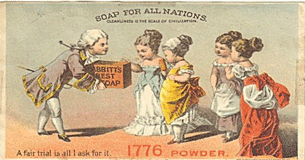 2015’s answer to ‘product sampling’ is to offer consumers a completely immersive and extrasensory brand experience through their communications. Freshly Frozen Pizza - Do You Buy It? 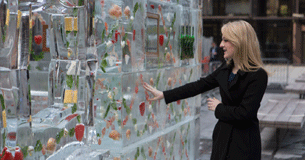 Dr Oetker has launched their £2m #FreshnessFrozen campaign with a guerrilla marketing stunt in central London.